Consider this: it is your wedding day, and you are a young bride-to-be. Your family and friends have been planning for this event for months. Just as the ceremony is about to begin, your future husband has a seizure. What do you do? Immediately stop the wedding and accompany your future husband to the hospital. While your future husband goes off to the hospital, explain to your guests that there will be no wedding today, but everyone should enjoy a nice a party since they are already here and there is plenty of food and drink. Everything is prepared, so just select another man from among the guests in attendance to be your new husband, and go on with the wedding. 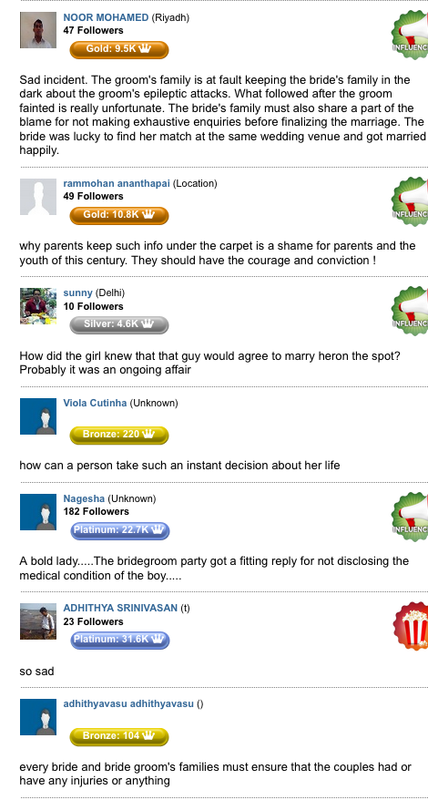 I didn’t make this situation up, rather it is something I read in the Times of India, “Groom unwell, bride weds guest in fit of rage,” which really made me think about my own reaction to the story and my own cultural assumptions. This wedding took place in India. It seems that the bride–to-be and her family had not been told of the medical condition of the groom prior to the wedding. So when the groom had an epileptic seizure, she decided, right on the spot, to marry another guest at the wedding. Although faced with an unexpected and upsetting situation, the bride-to-be didn’t make a rash decision, but one based on long established tradition. However, to appreciate the logic of the situation requires a major shift in thinking by those whose main values related to marriage are derived from largely individualistic western values and practices. The action made cultural sense to the bride and her relatives because the man she decided to marry was someone she and the family already knew well: her sister’s brother-in-law. From their collectivist point of view, hers was a very reasonable choice. 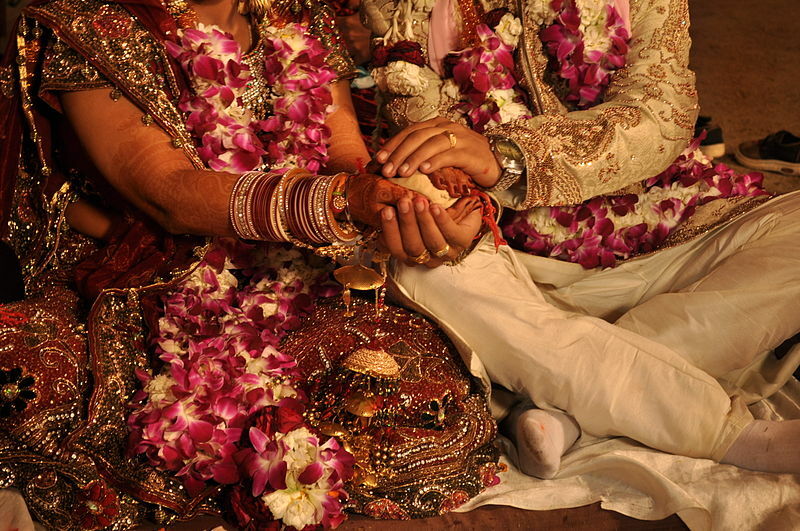 A marriage in South Asia is not just a joining of two people, but a public recognition of mutual duties and obligations, which impacts possibly hundreds of people on both sides. That is why many marriages in South Asia are arranged—such an important event is too serious to be left to only two people. Family honor is involved, and it is the duty of the larger family and lineage to make an appropriate investigation of the groom’s side. Since the man who was to be the groom fell ill, and neither he or his family had revealed his medical condition to the bride, it was considered a sufficient breech of trust that the marriage could not proceed. However, there was a cultural solution available. Since the newly designated groom was someone the family already knew well, and he was present, willing, and not yet married, the wedding could continue. It is not uncommon in South Asia for sets of sisters to marry sets of brothers over time because it is thought that the bonds between kin groups will be stronger because of those ties. Further, it is relatively common that if a wife dies, the bride’s family would consider it proper that the deceased woman’s sister might marry the widower. After all, the family is familiar and such a wedding would preserve the links between kin groups. Anthropologists call this kind of arrangement “sororate” marriage patterns. Of course, in our story, when the bride’s former husband-to-be returned from the hospital, he was not pleased that his intended bride was now someone else’s wife. There is a bit more to the story, but I’ll let you track it down, if you are curious. This entry was posted in Commentary and tagged Cultural Detective, current events from an intercultural perspective, India, intercultural competence, marriage across cultures, spontaneity, weddings across cultures by Kathryn Stillings. Bookmark the permalink. As editor of the Cultural Detective series, I have the pleasure of working with our wonderful international team, and, through each of them, gaining a glimpse of another worldview. It is an amazing opportunity to be able to learn from so many interesting people who share a common desire to further global understanding.